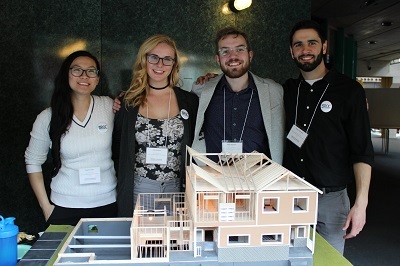 We are one of the largest combined departments of civil, environmental, geological and architectural engineering in Canada and our community of innovative, engaged students, staff and faculty is more than 1,000 strong. There’s a lot we’re proud of here, and whether you’re a future or current undergraduate student, interested in graduate studies or just curious about our department, we invite you to explore our programs, research and other information on this site to find out more. 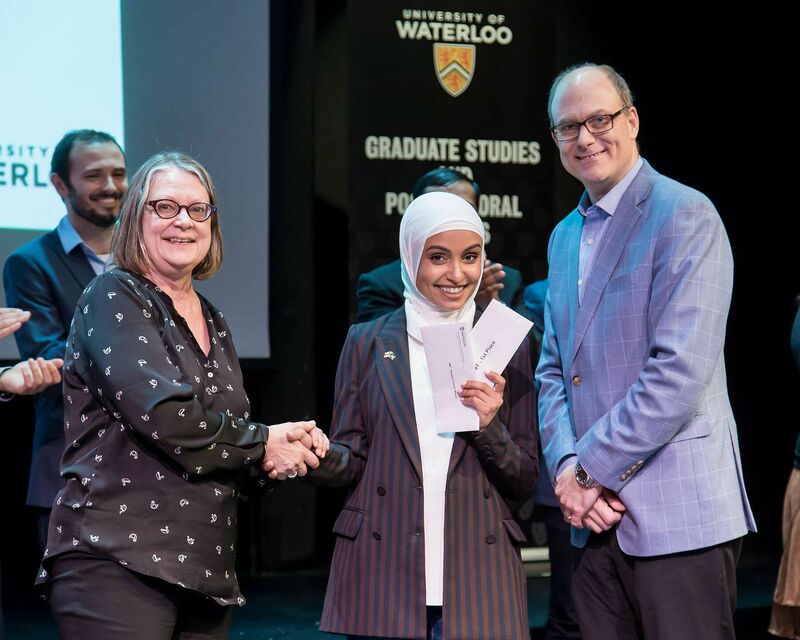 On Wednesday, March 20, fifteen of Waterloo's top Three Minute Thesis (3MT) finalists from across six faculties gathered to compete in the university-wide final event in the Theatre of the Arts, ML. With topics ranging from the right to die for mature minors to the value of ornament in Architecture, the esteemed 3MT judges were challenged in selecting just two winners. Winning both First place and People’s Choice was Haya Almutairi from the Department of Civil and Environmental Engineering, who presented her research on self-healing asphalt pavements. There will be lots to discover and explore at Civil, Environmental & Geological Engineering's Capstone Design Symposium. Dozens of projects will display everything from local transportation issues to the colonization of Mars. Seismically monitoring an active volcano in Spain? That's last thing I thought I was going to do when I first started at the University of Waterloo five years ago!